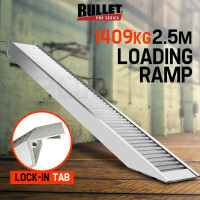 A quality and reliable heavy-duty ramp can be used in so many ways. If you are looking for ramps in Sydney or other Australian locations, Edisons has the right products in store just for you. 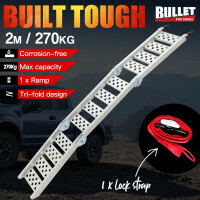 Designed to make a range of loading jobs less burdensome, we offer Bullet Ramps ideal for loading smaller vehicles into storage sheds or onto trailers. They can also be used for oil changes and other small maintenance procedures. 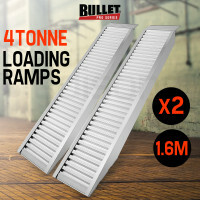 Edisons offers a great line-up of quality Bullet Loading Ramps for transporting vehicles. Built with class leading capacity, these ramps come with the patented EX fully adjustable support legs. They also have soft-tipped loading points and anti-slip designs for added safety. 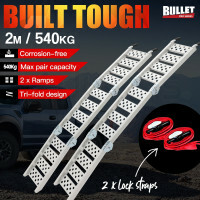 Made from corrosion-free marine-grade alloy, these ramps have ultra-convenient foldaway designs and large upturned cleats for optimum traction. 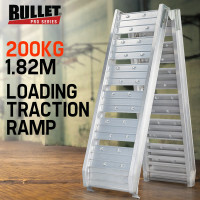 Bullet Ramps include so many great features, including huge loading heights, bonus safety straps and so much more. 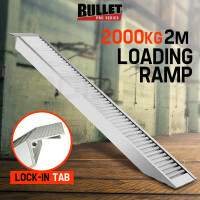 When you buy a Bullet Ramp, it may be the last set of ramps you will ever purchase. 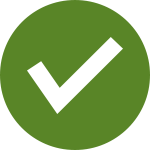 As well as unparalleled quality, each purchase is backed up by an extensive 12-month warranty. When planning to buy ramps, be sure to check out the other auto parts and accessories that Edisons has to offer. Here we also have an extensive selection of Jacks & Lifts, Hoist Winches, Ute Toolboxes, Driving Lights, 4WD Snorkels and much more.